Fence post caps are more important than most people think! Are your fences really complete without fence post caps? They may seem like unnecessary accessories, but they do serve a purpose. 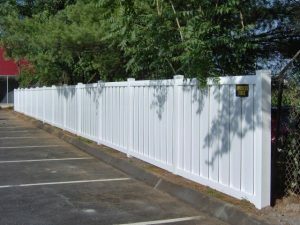 They are those coverings that adorn the tops of your fence posts on standalone fences and even decks. When you added a fence to your property, you invested in the protection of your home, the curb appeal of your property, and the overall function of your landscape. Think of fence post caps as a way to protect that investment by ensuring the longevity, durability, and appearance of your fence. Fence post caps are more than just decoration; they serve a very functional purpose as well for the overall structure and durability of your fence. The caps fit over the tops of the posts which protects the end grain from exposure. The end grain is the most vulnerable part of the post, especially when exposed to environmental damage and even human interaction. The sun and wind can both dry out the wood at this point and cause it to crack. Excess moisture from rain could also lead to rotting and even foster the growth of mold and mildew. The caps will allow the fence posts to last much longer. Caps also protect your hands from splinters in case anyone grabs it or rests their hands at the wrong angle. They also keep birds and other animals from perching on your fence posts and leaving a mess all over your deck or porch. There are many choices for materials of post caps. Although wood is one of the most popular choices, vinyl provides UV resistance, and ASA resin offers impact resistance and UV protection, along with many color choices. Before you purchase caps, be sure to take measurements of your fence posts. The most common choices are 4×4 posts that are 3.5×3.5 inches, and 6×6 posts that are 5.5×5.5 inches. The caps should create a snug fit that isn’t too tight. A fit that is too tight poses a risk of cracking as wood expands and contracts because of moisture and humidity. This entry was posted on Thursday, February 1st, 2018 at 2:13 pm. Both comments and pings are currently closed.